Lancashire-based Lyndhurst Precision Engineering — a provider of bespoke engineering solutions — is helping one of its customer’s apprentices with a vital part of his apprenticeship. Brad Scott — currently in his fourth and final year as an apprentice with NIS Ltd in Chorley — required additional experience in machining. 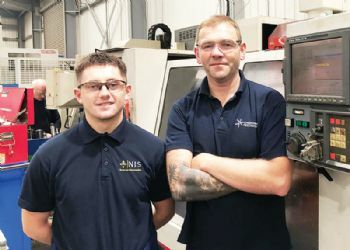 NIS production manager Paul Jones and Stuart Walker, his counterpart at Lyndhurst, reached an agreement for Brad to join the latter on secondment to work on CNC machining centres. Mark Marriner, managing director of Lyndhurst Precision Engineering (www.lyndhurst-precision.co.uk), said: “We produce components for the nuclear, defence, medical and renewable-energy sectors. This will give Brad a breadth of experience, and I hope he continues his studies and achieves a career in engineering. 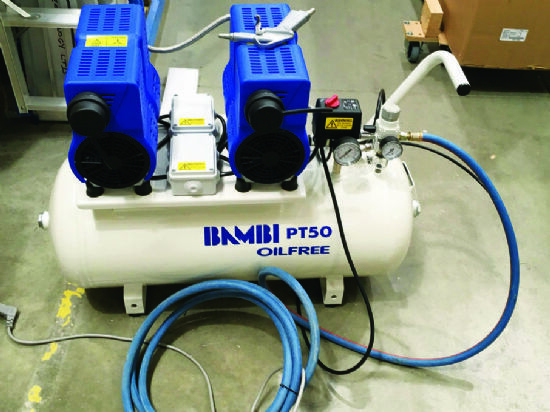 “This is a great example of a positive working relationship between companies, sharing good practice and working collaboratively to achieve common goals.